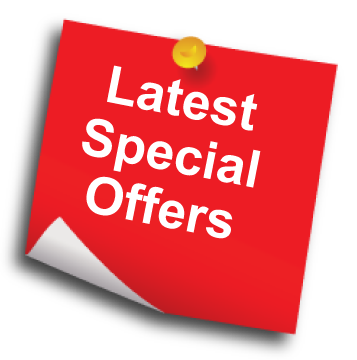 Product information "Belling FS50EDOFC - 50cm Electric Cooker"
The Belling FS50EDOFCWHI electric cooker is 50 cm wide, which is perfect if space is limited. It’s also freestanding, so you have the flexibility to position it wherever you like in your kitchen. 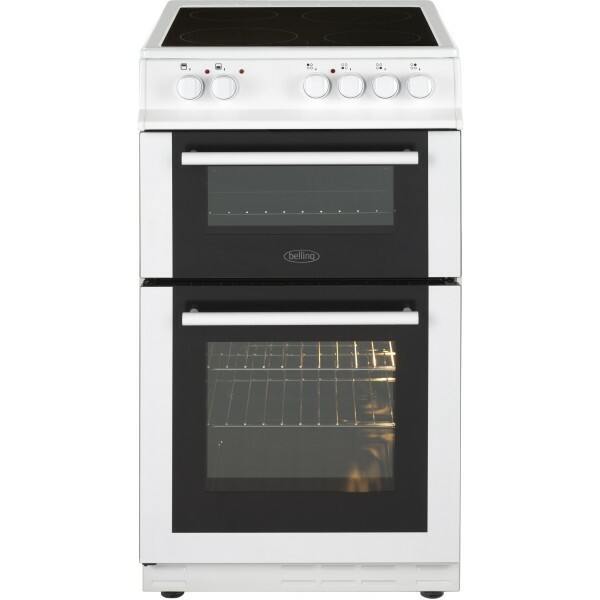 As this cooker has a double oven with a four zone ceramic hob, the cooking possibilities are endless. Bake, fry, boil, and grill all kinds of food at the same time, to create tasty meals for your family. The FS50EDOFCWHI comes in white, so it will blend in beautifully with your other appliances and kitchen cabinets. Achieve perfect cooking results with the electric fanned main oven. It has a useable 55 L capacity, so you can cook up a storm and invite everyone over for dinner. There are two shelves inside the oven, which can be adjusted depending on your needs. These are also removable, so it’s really easy to keep them clean. The double glazed glass door means you can keep an eye on what’s cooking, whether it’s a Sunday roast or some tasty cupcakes. There’s even a convenient light inside, to make things even easier. Say goodbye to the dreaded task of cleaning inside the oven with the FS50EDOFCWHI. Thanks to the easy clean enamel oven liners, you’ll spend less time scrubbing and more time relaxing. Related links to "Belling FS50EDOFC - 50cm Electric Cooker"
Customer review for "Belling FS50EDOFC - 50cm Electric Cooker"